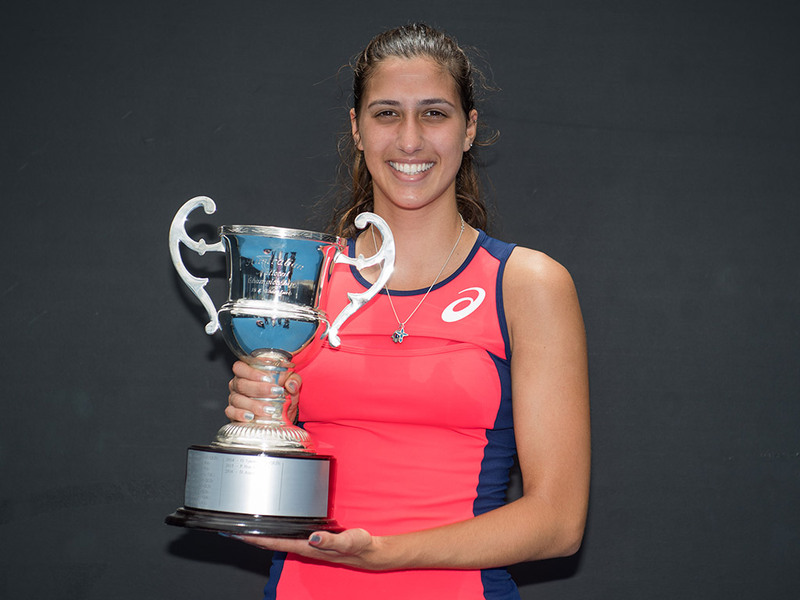 In a thrilling finale spanning more than three hours, Jaimee Fourlis turned the tables on Destanee Aiava to win the 18/u Australian Championships - and an Australian Open main draw wildcard. 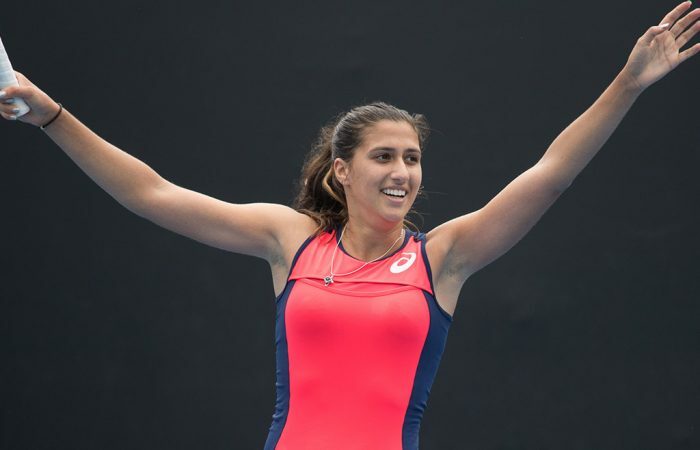 In a spectacular match on Saturday at Melbourne Park, Jaimee Fourlis outlasted fellow Victorian rising star Destanee Aiava to win the 18/u Australian Championships. 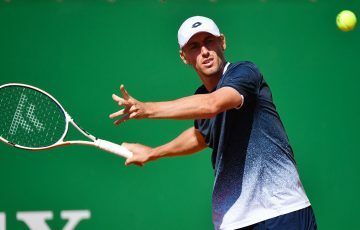 The 6-7(4) 7-6(1) 7-5 victory guarantees Fourlis a wildcard into the main draw of Australian Open 2018. 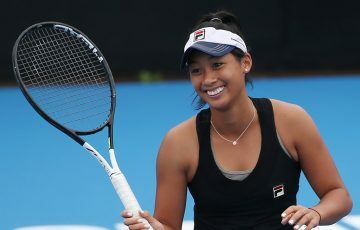 The 18-year-old fell to Aiava in the final of the same event this time last year, before a week later going on to win the Australian Open Play-off to secure her main-draw berth at the year’s first Grand Slam event. 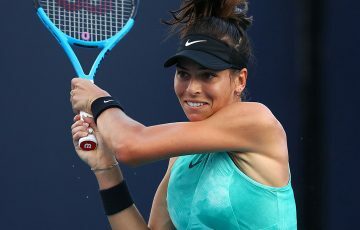 But this year she won’t have to worry about contesting the Play-off, instead taking advantage of the chance to rest her battle-weary body – and more notably a heavily-strapped left thigh. Indeed, as Fourlis struggled with her range and movement early, Aiava settled quickly, building leads of 4-1 and 5-2. But Fourlis began an impressive comeback, blending her aggressive shotmaking with stellar defence to rattle off four straight games. Aiava stopped the run in the 12th game with a much-needed service hold, and took control of the ensuring tiebreak when he moved ahead 5-2. In an increasingly high-quality affair, Fourlis produced an inside-out forehand winner and a big serve to close the gap to 4-5, only for Aiava to bring up set point with an ace. She converted, and screamed in both elation and relief. The second set was just as tightly-contested as the first, except this time, both Fourlis and Aiava were rock-solid on serve. Fourlis made the first move when she belted two backhand winners en route to a break for a 6-5 lead. But when she botched a swinging volley in the next game, Aiava broke back to ensure another tiebreak. This time, it was Fourlis dominating; the winners were flowing from her racquet and she stormed through it 7-1. Aiava made the early running in the third, but every time she gained a break point, Fourlis saved it with daring, aggressive play – frequently finishing points at the net. Aiava did eventually break for a 2-1 lead but her advantage didn’t last long. And eventually, both girls rediscovered their rhythm on serve. Soon the set was poised at 5-5. Here, Fourlis went up a gear. She advanced on the net to put away a backhand volley, and then sent a backhand passing shot screaming down the line for a winner. And with a 6-5 lead in hand, she set about returning Aiava’s serve with interest, and was rewarded. She withstood her rival in a searching rally and raised her arms aloft when Aiava missed her final shot. “I think I just had to play my game. I just had to play solid, I just had to trust myself – belief was really big out on the court,” Fourlis reflected. “And I knew she was going to come out firing. She’s an incredible player and we’ve seen her play big and strike the ball unbelievable. “So I just had to trust myself and knew what I had to do. Had a great game plan; sat down with my coach before the match … and I can say I executed it pretty well (laughter). 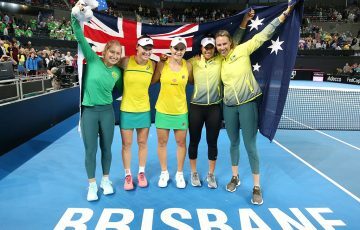 In the past 12 months, Fourlis has accrued valuable experience at the highest level, winning her first-round match at the Australian Open over Anna Tatishvili and stretching Caroline Wozniacki to three sets on Court Suzanne Lenglen at Roland Garros. 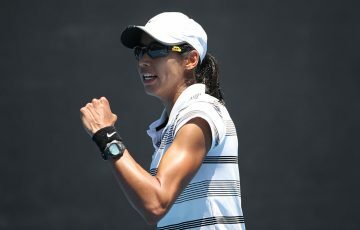 How much had those results assisted her as she battled today for a place at Australian Open 2018? “Quite a lot. 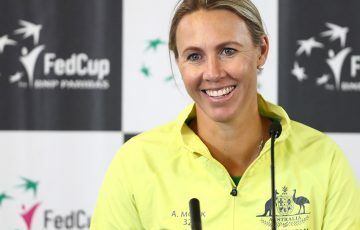 I don’t think you really realise it but it definitely does help, the experience from Australian Open, and winning a round, and playing a great match at the French Open against Wozniacki. It definitely does build and you do get more confidence as you play,” Fourlis said.